Could the Air Force bomb wildfires into submission? 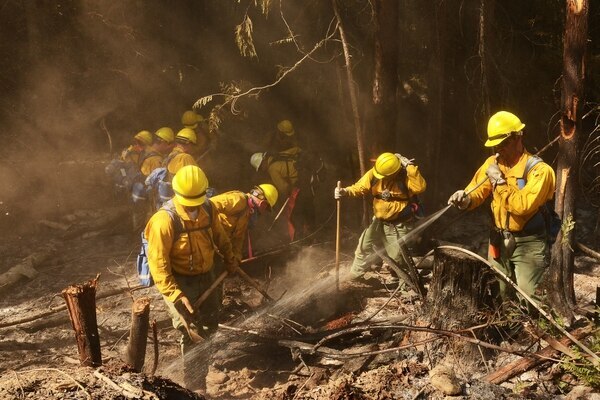 In a commentary on a popular national security website, an Air Force officer suggested an alternative approach to combating wildfires, which have plagued the West Coast this summer. Rather than fighting wildfires in the traditional way — using aircraft to drop chemical retardants on the blaze while ground crews clear brush that fuels the flames — the Air Force should try to put them out by bombing them, wrote F-15E Strike Eagle weapons systems officer Mike Benitez in War on the Rocks Aug. 1. In the piece, Benitez suggests a technique whereby guided bombs are dropped on a fire, emitting a shockwave that snuffs out airflow behind it and temporarily slows a fire’s spread. While the idea sounds like something a bomber pilot itching for extra flight time cooked up at happy hour, there is a precedent for such an operation. Last month, the Swedish air force actually did drop a 500-pound GBU-49 laser and GPS-guided bomb from a fighter jet onto a burning forest that was threatening local communities. The country has also used artillery rounds to suffocate smaller fires in military shooting areas, according to a press release from the Swedish Armed Forces. The use of a precision bomb in a limited setting isn’t unheard of, actually. But the Swedish example was a unique situation, according to Michael Gollner, an associate professor of fire protection engineering at the University of Maryland, who studies how wildfires spread and how to guard against them. “It’s an interesting idea, however, I think there are few situations where it would be practically useful,” Gollner said. “Sweden was a very unique case, probably where traditional suppression would have worked fine if it was safe enough to do so." The Sweden example was unique because the actual fire took place on a shooting range littered with unexploded ordnance that could “cook off” from the intense heat. This prevented ground fire fighting services from getting within a half-mile of the area. 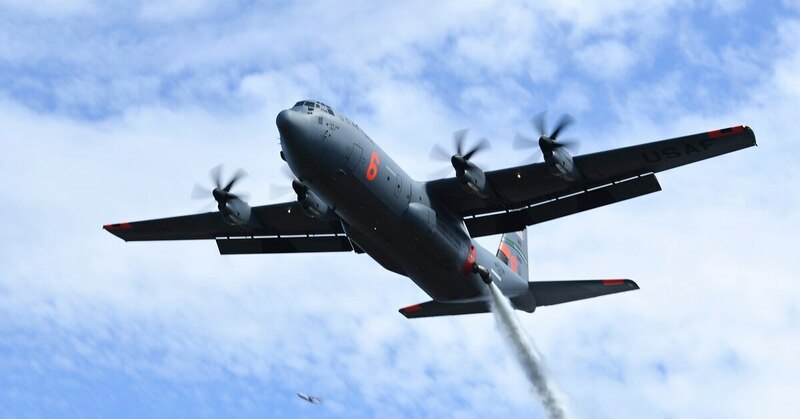 Bombing could theoretically play a role in halting wildfires, but it’s important to understand that “most wildfire suppression efforts actually are not about ‘putting out the fire’ but instead about removing fuel ahead of the fire,” Gollner said. Fighting a wildfire with traditional retardant drops can help slow the spread of the flames, but they’re not really able to put the fire out. In the case of a large detonation from a bomb, the effects on the fire would likely only be temporary. Gollner said a better fire management technique is simply managing lands in advance of large forest fires. Still, Benitez’s commentary is an exercise in thought. It encourages out-of-the-box thinking and unconventional uses for traditional tools. And while the application may be limited, it’s not without its uses, as demonstrated by the Swedes. Honing that capability and devising a more suitable delivery method could be worth exploring.